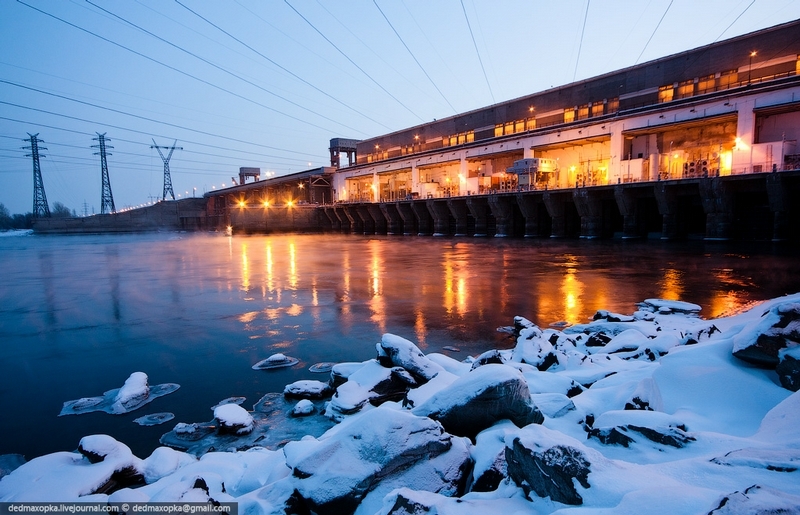 Novosibirsk Hydropower Plant is located on the Ob River, one of the largest rivers in the world and the longest river in Russia. 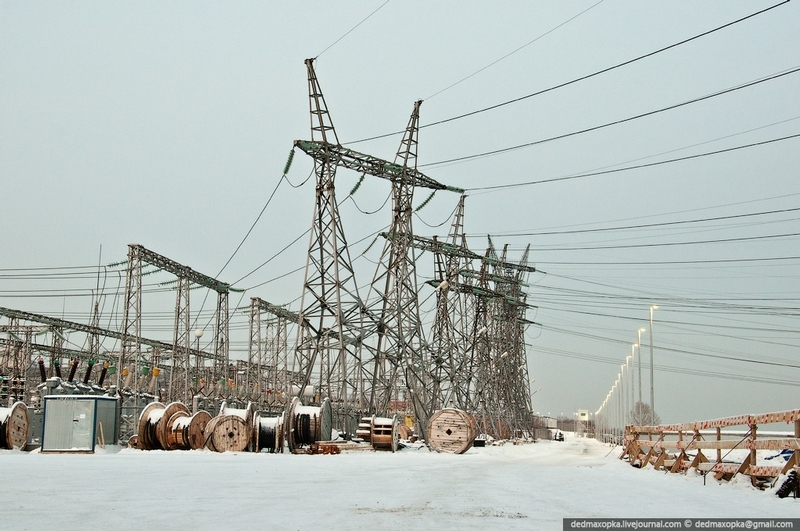 Construction works lasted for 11 years. 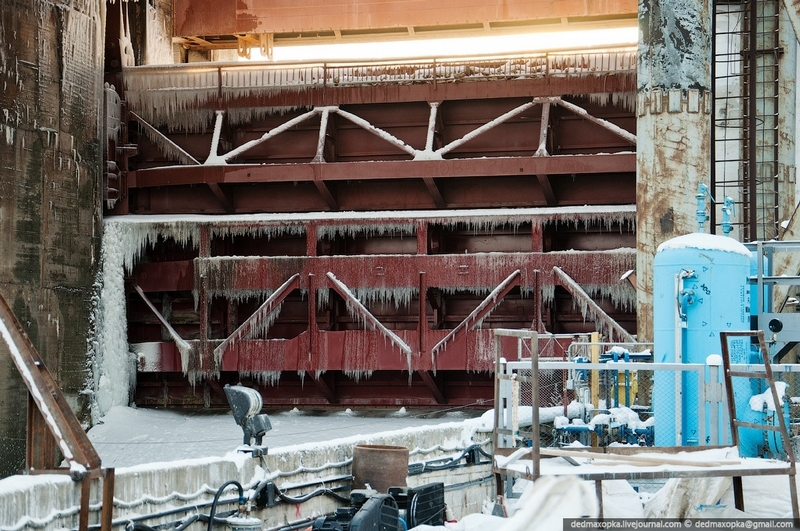 They began to pour concrete in May, 1953 and in 1956 they dammed the river. One year later, they launched their first hydraulic unit and 6 months later their 7th hydraulic unit. 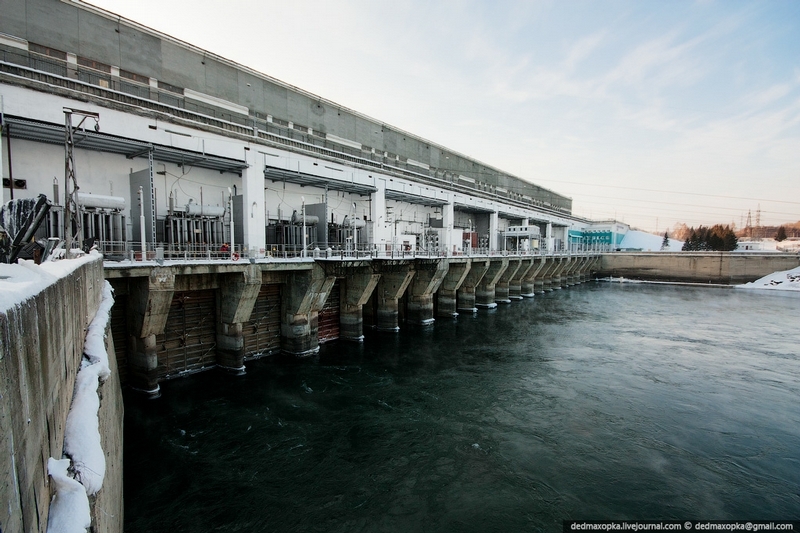 The HPP was officially put into operation in 1961. – Right-bank earth dam (1,023 m). 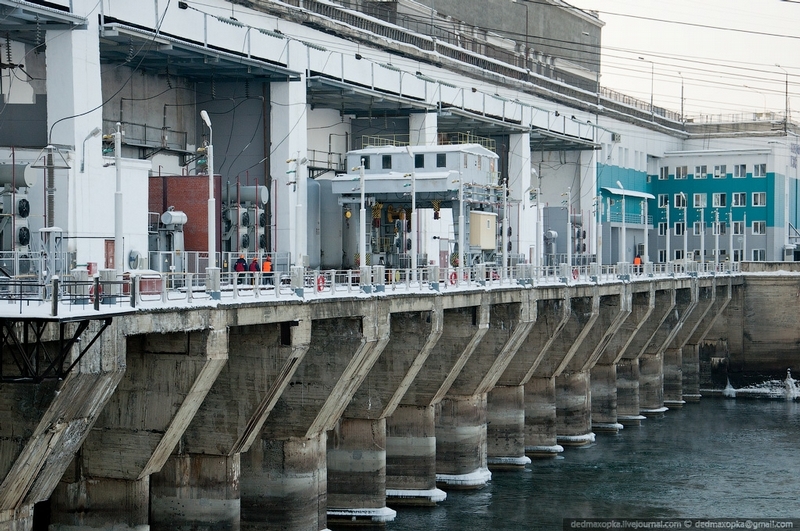 Novosibirsk HPP is a run-of-river hydroplant. 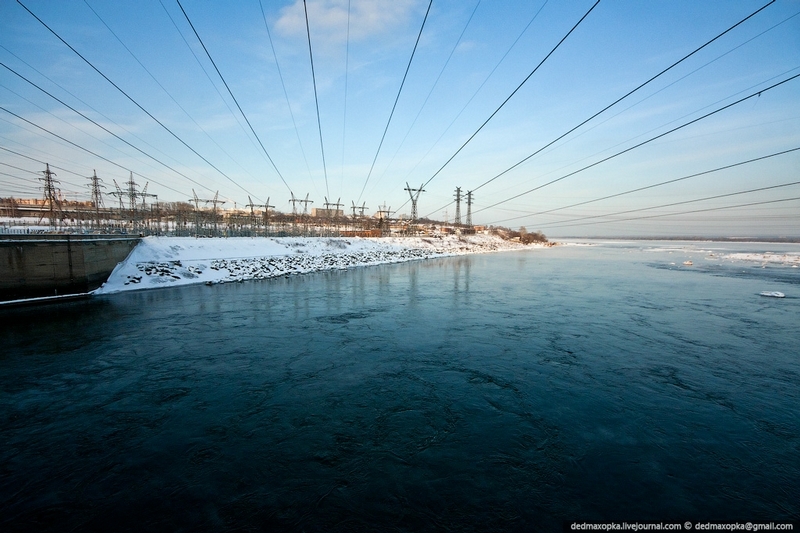 Total length of its underwater hydrosystem constructions is almost 5 km. 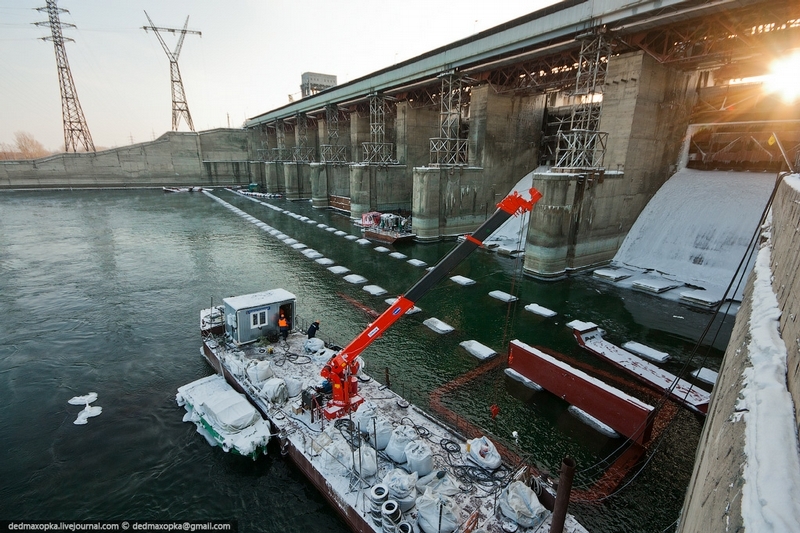 In the photo, you see an overfall dam which is under reconstruction right now. 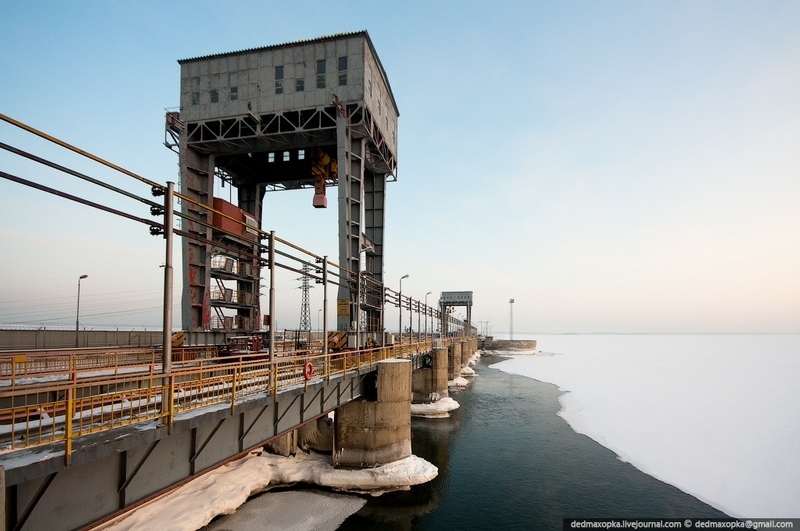 They built a road on the hydrotechnical constructions and a car bridge which connect parts of Novosibirsk. 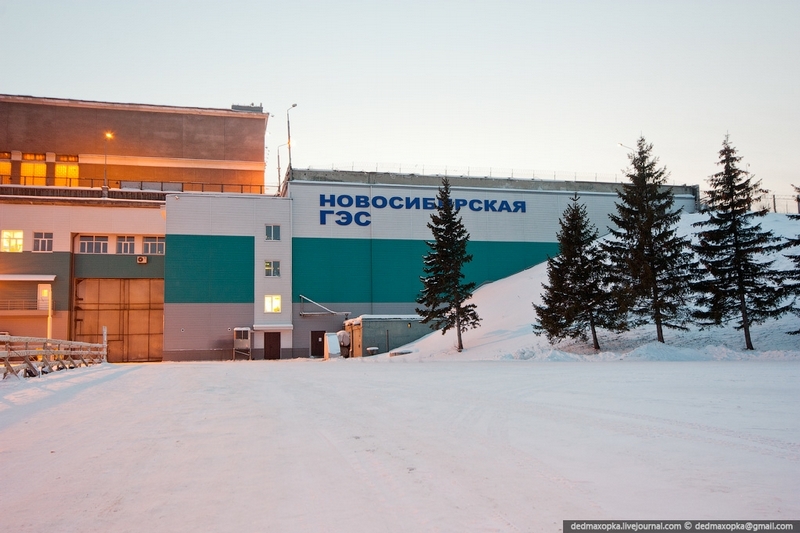 Novosibirsk residents call its reservoir ‘the Sea of Ob’. Its water is used in fishery and agriculture and the city’s water supply. 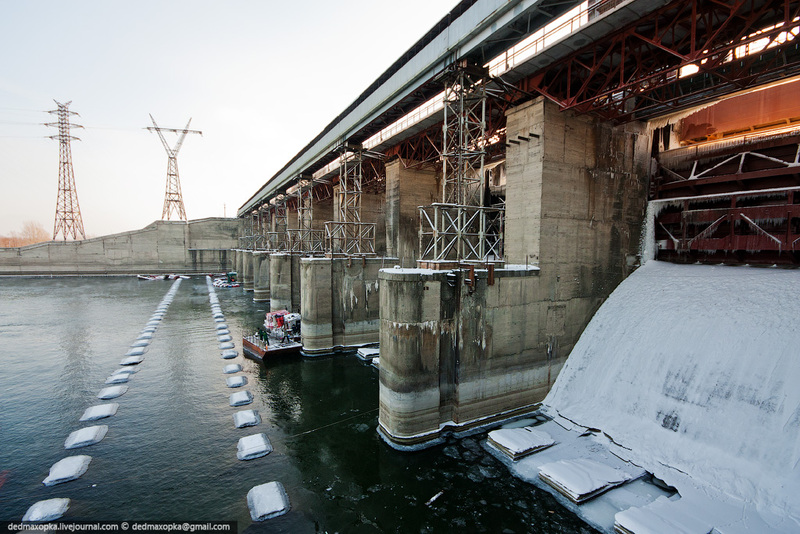 The concrete dam consists of eight 20-meter long parts separated with water gates.